First of all, let me give my apologies for dropping the ball on the Date Night series. 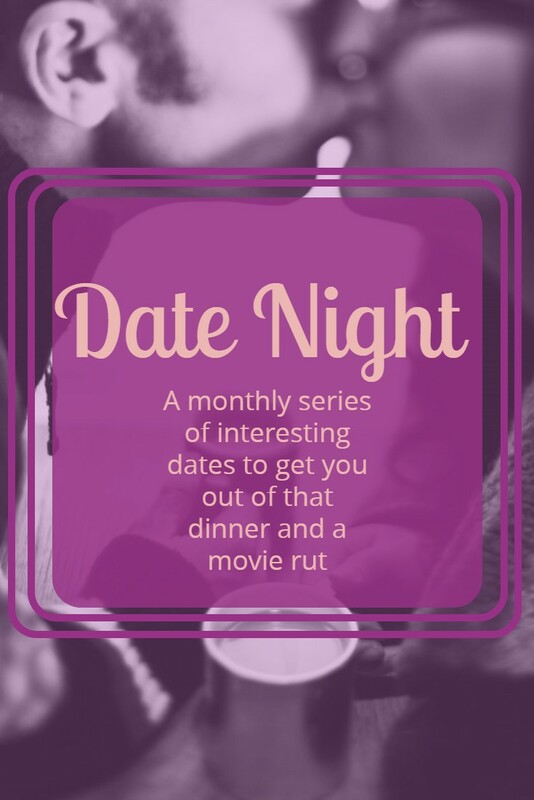 It has been a long time since my last date post because we have been slacking, but since one of my goals for 2017 was to spend more quality time with my husband, I am hoping this is just the first of many date night posts you will see this year. For this month’s date, we ate dinner at Pure Pizza in the 7th Street Market, attended the Science on the Rocks event at the Discovery Place, and finished the night with dessert at Amelie’ in uptown. Sounds like a lot of fun, right? Once inside the Market, we decided to eat pizza because they promised our pie would be out in 4 minutes, and we really needed to be quick since the event had already started. We didn’t want to waste all of our science time. If you have never been to 7th Street, you need to put it on the top of your to-do list! This place is super cool, and it has a lot of food and drink options including sushi, crepes, sandwiches, cupcakes, and pizza. After our delicious pizza, we walked the short distance to the Discovery Place for Science on the Rocks, a super cool program put on by the museum every 3rd Friday from 5-9 pm. It is an adults only themed party with food and plenty of drinks. They set up cash bars in nearly every section of the museum. This was our first time attending, and the theme for the evening was HARRY POTTER!!!! 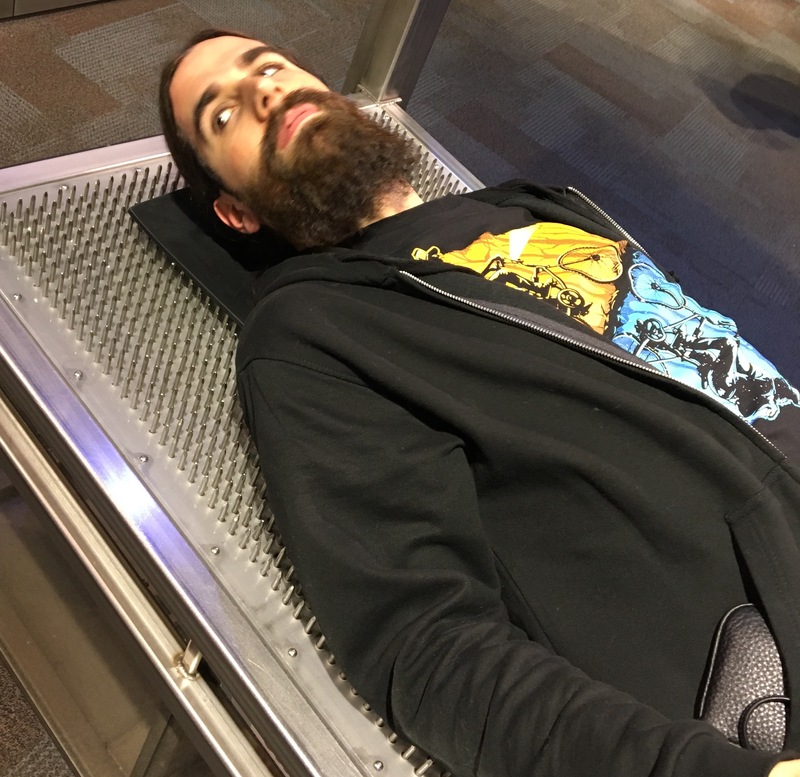 Oh yeah, you know I had to check it out. All in all, the concept is super cool. 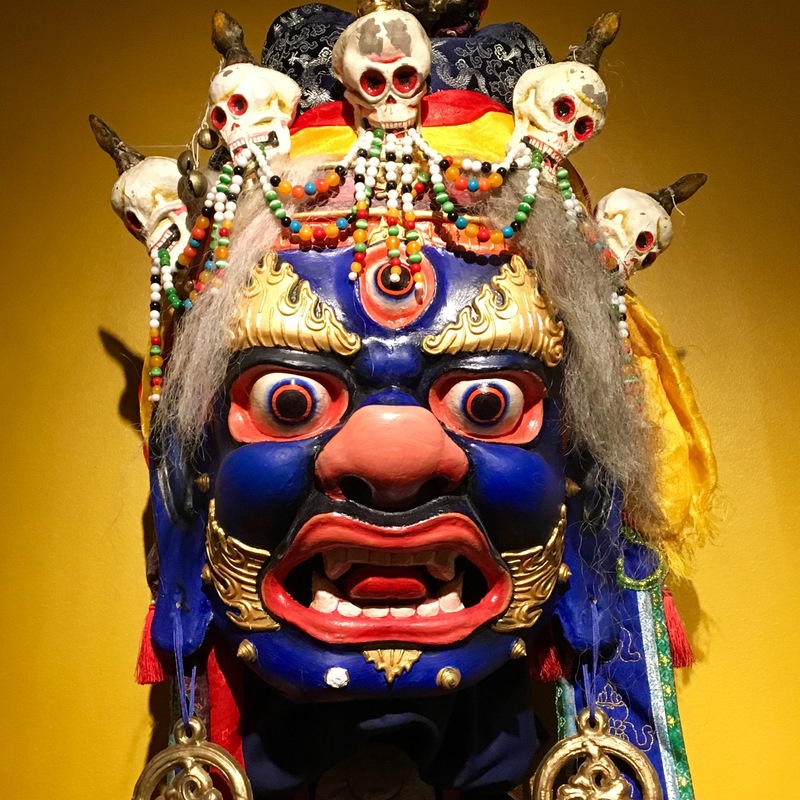 You get to hang out and look at all of the exhibits whilst sipping a tasty cocktail, and you don’t have to worry about all those pesky kids being underfoot. 😀 Actually, there is all this fun stuff that I have always wanted to play with but felt guilty taking a turn away from some little kid. So, it was neat being able to play guilt-free… and just a teensy bit tipsy. Rob, on the other hand, was stoic. 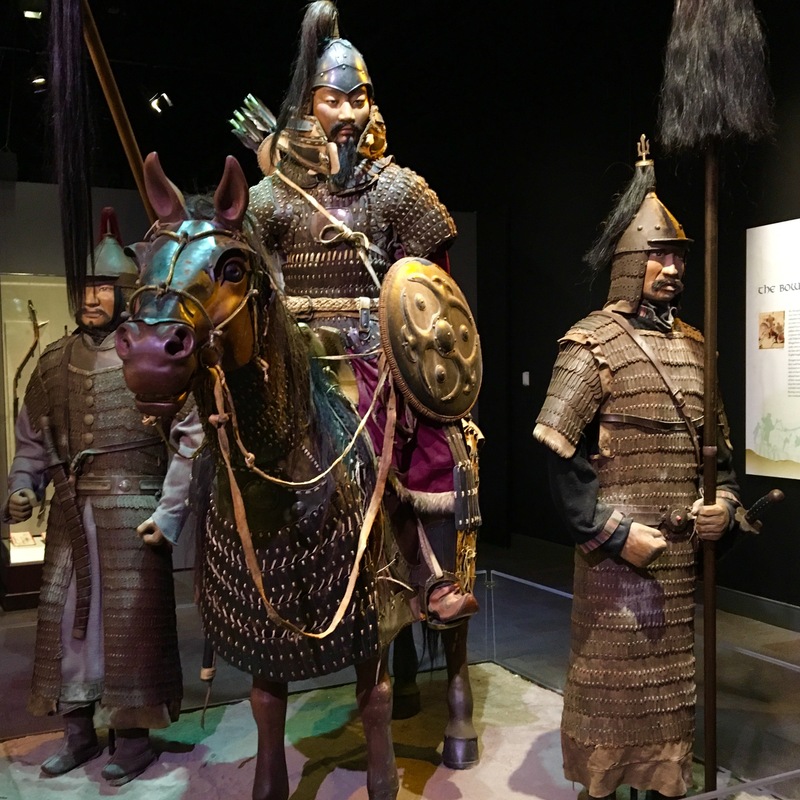 The Genghis Khan exhibit had a few interesting tidbits. 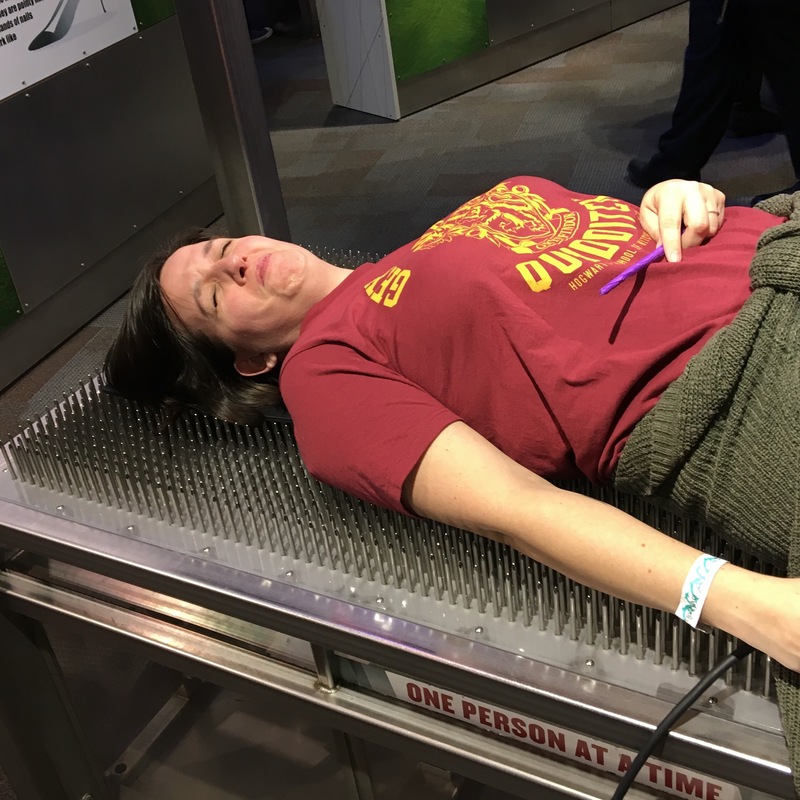 The bed of nails was tough, I was slightly less afraid touching the live sea urchin. 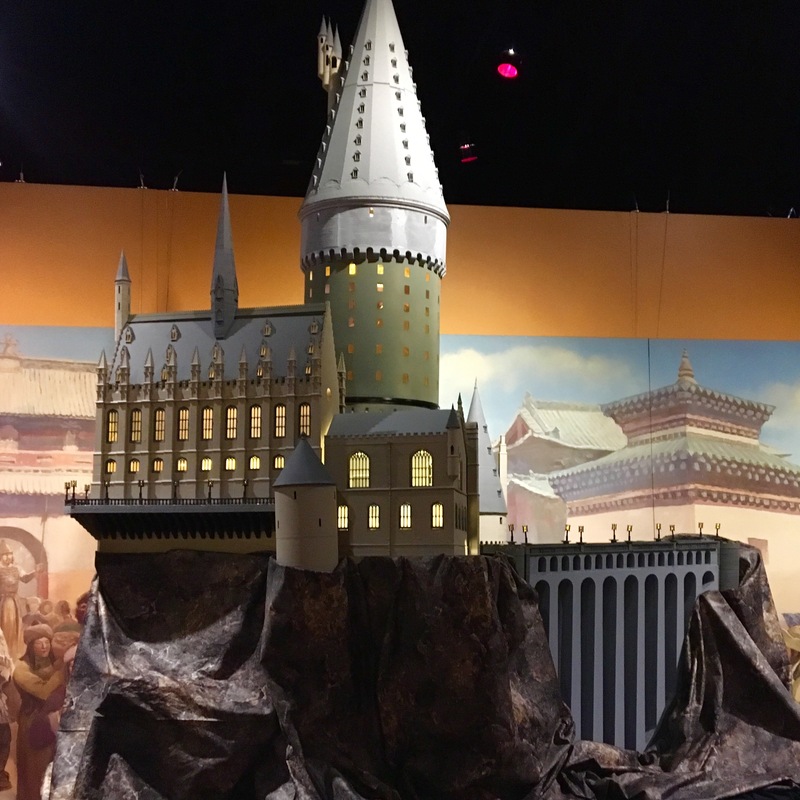 The Harry Potter themed stations ranged from meh to pretty dang cool. 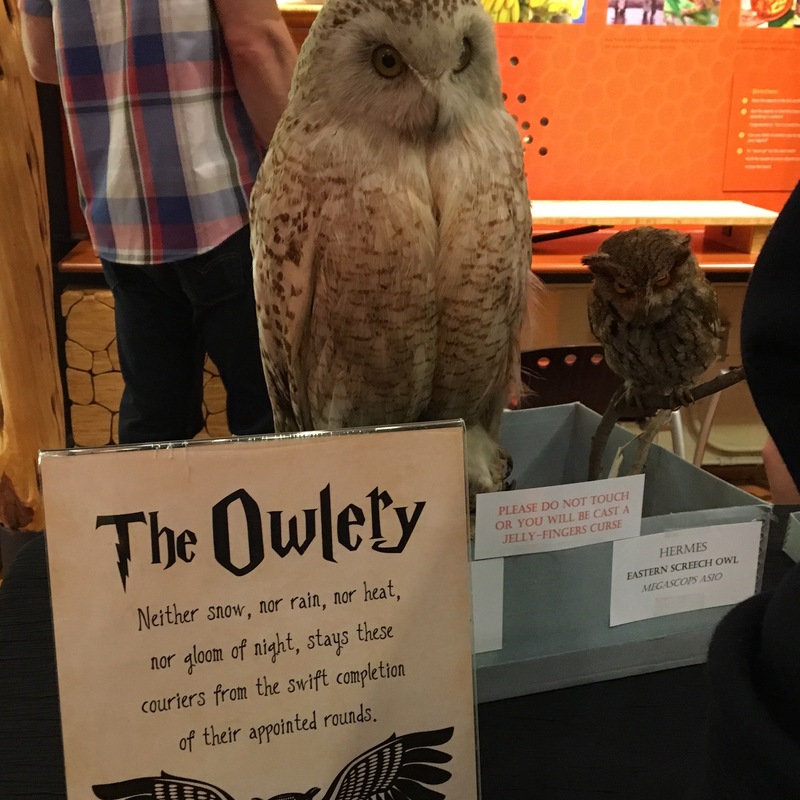 I wasn’t all that interested in playing muggle quidditch or butter beer pong, and the calligraphy station and divination had excessively long lines, but I did hit up the make-your-own wand table and the owlery. 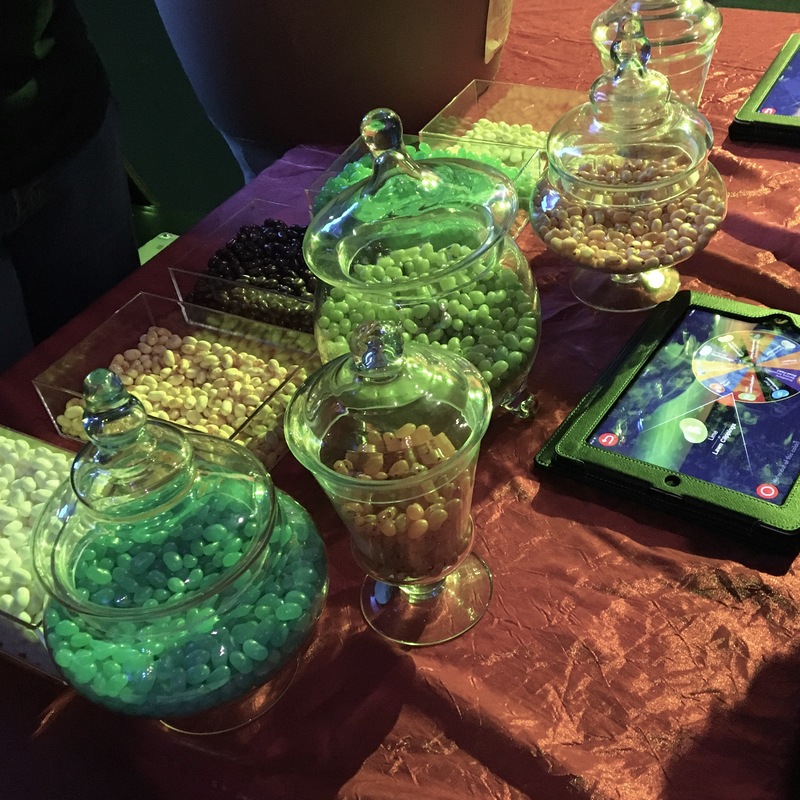 One of my favorite stations was the Bertie Botts flavor challenge table. One of the employees was dressed as a mandrake in a pot, and her companion had on earmuffs! I will have to remember that for a couple’s costume next Halloween. 🙂 My bean was grass flavored, but Rob lucked out and got a peach one. They also had these popcorn samples that they called Dragon’s Breath. 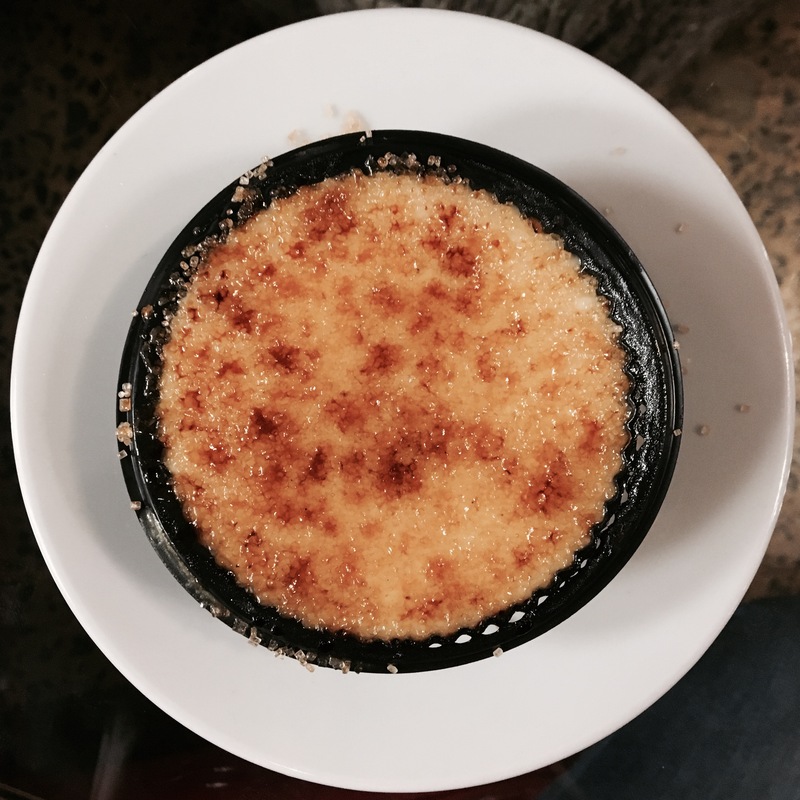 It was made with liquid nitrogen and smoke would come out of your mouth when you ate it! I hated the way it felt in my mouth, but Rob actually liked it. At one table you could get a “tattoo”, either Harry’s lightning scar or a Dark Mark. 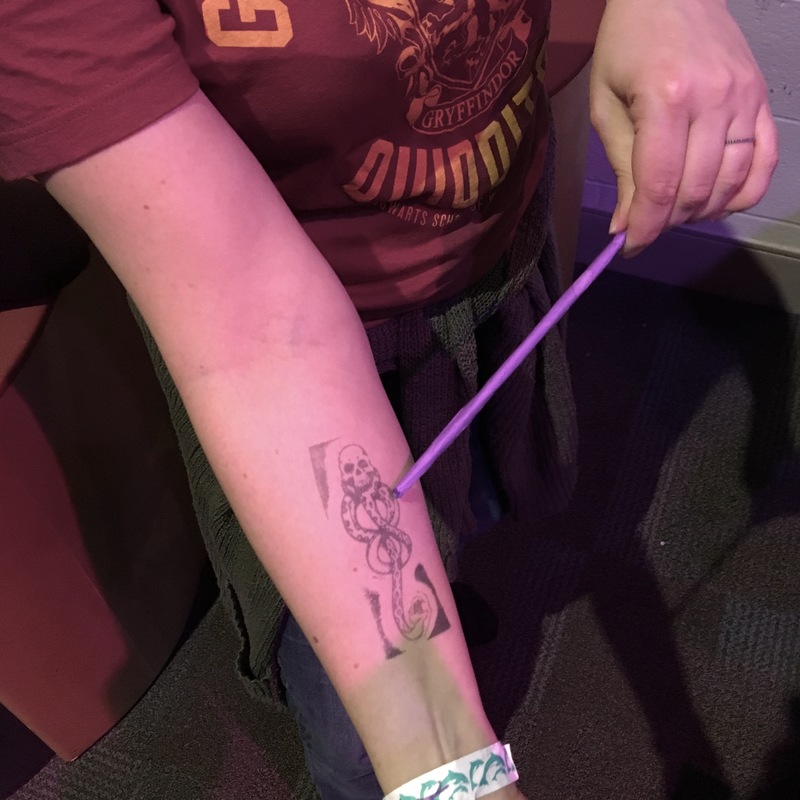 Um, I know I was wearing a Gryffindor shirt and all, but this girl needed a dark mark. Mwahahahaha. We hung out and played for around two hours in total since we arrived a little late. The tickets were only $10 per person (in advance), but the drinks are quite steep which I kinda expected. Drinks are expensive at nearly every event everywhere. I 100% recommend attending one of these shindigs if you get the chance! Next month, the theme is 80’s Prom. Our date was incredibly fun. 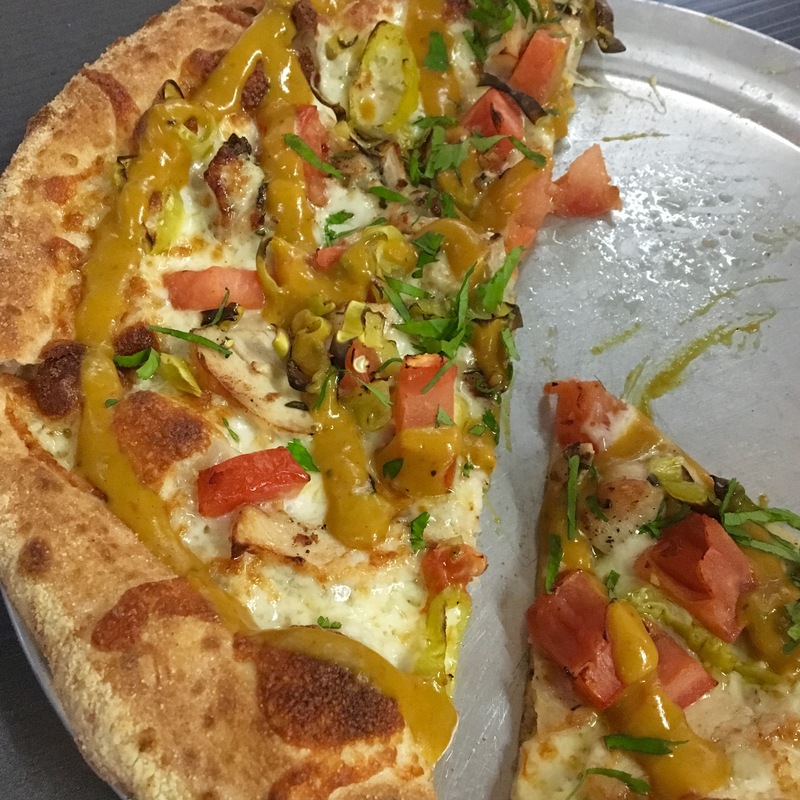 Pure pizza is going on my list as one of the best pizza spots in Charlotte, Science on the Rocks was an absolute blast, and one can never be amiss with a trip to Amelie’s. 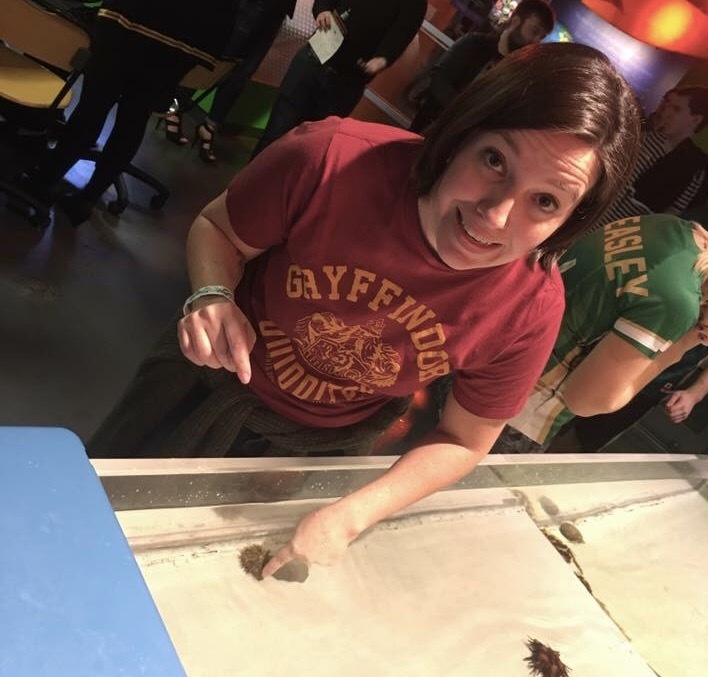 Have you ever attended an event like Science on the Rocks?